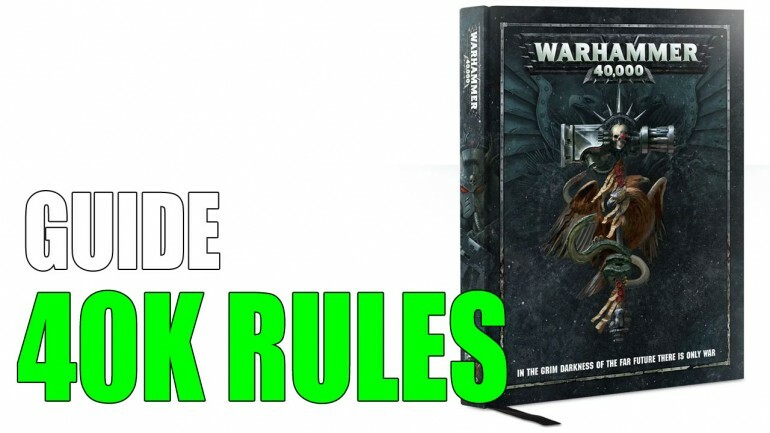 Now that you’ve chosen an army it’s time to learn the Warhammer 40K rulebook, so that you can in turn understand your army. Reading your army’s codex without a fundamental understanding of the game rules can be confusing. I would also refrain from making any purchases for your army, except the codex/index, at this point as well. You want to make informed decisions when building up your army and spending money, so get a grasp on the rules, and your army’s rules before spending money. Once upon a time, the Warhammer 40K rules were long and complicated. Most versions of the game had rulebooks with around 100 pages of rules for the basic mechanics of the game. It was a lot to take in, and it took a lot of games before you became comfortable with the rules. Then 8th edition hit, and that all changed. The game of 40K has moved from a very restrictive ruleset to something more free than any edition prior. As such, learning the Warhammer 40K rules is pretty straight forward. I would say you can learn the basics of the game in 5 minutes easily. Where once 40K had various charts to determine rolls needed to hit something, wound it, etc., it has since adopted a much simpler method. It really is a simple game to learn, but it still has a deep level of strategy that’s expected out of a tabletop wargame. Don’t let easy to learn be confused with “simple”. Chapter Approved is an old method GW used to use back in the day that they have revived for 8th edition. What is Chapter Approved? It’s a collection of updates published in one book basically. So, once a year (think that’s the going schedule), Games Workshop will put out this book and in it will be update unit costs, new missions, maybe new rules, could be new units for an army, etc. Now, so far all these things have been optional. However, many of them will be used in more competitive settings since they address balance issues and such. , but if you have the money then it’s not a bad idea to have.
. The biggest mistake I see players make is relying on a friend to teach them the game. The problem that occurs is that their friend may not have the best grasp on the rules, and in turn teaches the new player incorrect rules. Then because the new player isn’t reading the rules for him/herself, they never know. I’ve seen this go on for years, and then when that player finally plays someone with a firm grasp on the rules there can be some rules debates, and that player’s only defense is that’s how they were taught. Use your friends to help you understand rules, and clarify things, but not to teach the rules to you. There are no shortcuts here. I recommend you try to tackle a section at a time. Read a section through then re-read it immediately after. It might not all make sense at the time, but as long as you’ve read it then when it comes up in your first few games you will at least recall seeing it. As you’re going through the Warhammer 40K rulebook the first time, I would consider skipping over anything that is not core rules, like Fighting a Battle, the types of game modes, Advanced Rules, etc. Eventually you’ll want to learn all of this. However, for getting started you really just want to concern yourself with the core concepts. Also, if you play an army that doesn’t excel in a particular area, IE: Tau in close combat, then don’t worry about getting all the close combat rules perfect at first. You’ll need to learn it, but focus on the things you army does do, like shooting if we’re discussing Tau. I tend to hyperfocus on things I’m learning, and I push myself to understand it all immediately. However, as I’ve learned, sometimes you just need to let something go; let the explanation elude you until you get to play a game. Some concepts are hard to understand without seeing it. Most of us as humans are very visual learners. The rulebook does well to show examples, but sometimes you just need to be in a game, and in that situation for it to make sense. Just relax and know at some point you will understand it all. If you’ve never played a wargame before, and this whole concept is new, then try playing a small game against yourself. That is assuming you might have some models to use. Keep it simple. Set up 3-4 models as an army for each side and have them fight each other. This will let you practice movement, working with measurements, checking line of sight, referencing stats and rolling dice, etc. It might seem silly, and you aren’t trying to beat yourself, but you will get comfortable with the process. I wrote an article on how to play 40K faster. There are some good concepts in there that will help you out as you learn the game. Some of it has already been said in this article, but some of it hasn’t. If you learn those things early on then it will really help you out. 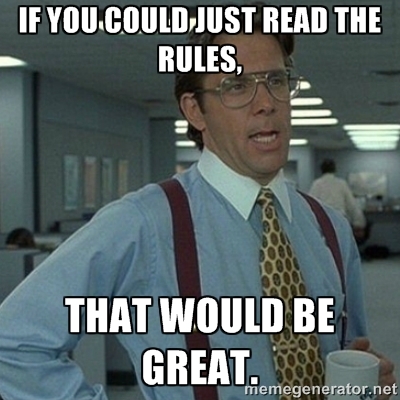 Also, you should check out our article on gaming etiquette. There’s some valuable stuff there. Good article. Not a huge amount you can do with learning rules for a game but great advice to not rely on friends teaching the game. Yeah, not much you can say but figured I’d give it a shot for the sake of thoroughness.